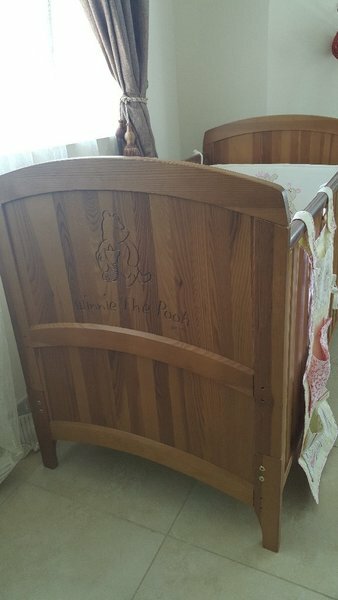 700 AED - crib from Mothercare "Winnie The Pooh, NEW, never used! Excellent quality, good wood, up to 5 years old. 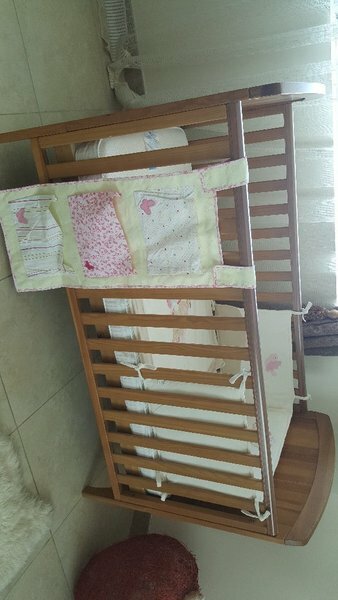 350 AED - brand new mattress, best quality from Mothercare, waterproof + has extra waterproof cover as bonus! 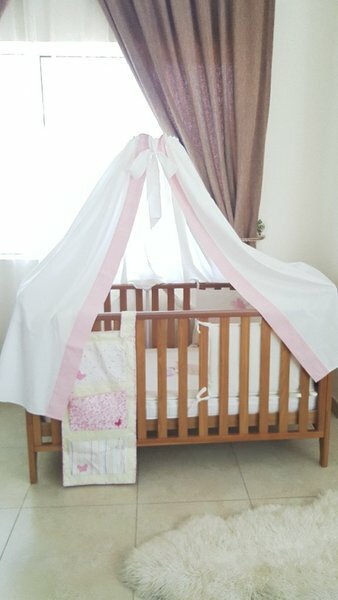 150 AED - Premaman blanket and soft borders 50 AED - Curtain for crib "Junior" pink color perfect condition 20 AED - Diaper holder for crib "Mothercare" All items in perfect condition, never used as baby slept with parents. If interested in all items together - can offer a very good price!